They’re keto-friendly, paleo, gluten-free and taste like ‘nutella’! WHAT IS MCT OIL & WHAT ARE THE HEALTH BENEFITS? Avoid these 3 foods if you have PCOS. Over on Move Nourish Believe, with my top 3 tips for Low GI eating! Zoe Bingley-Pullin is a Nutritionist, Chef, Mother and founder of Nutritional Edge Consultancy company in Sydney. You may also recognise Zoe from Channel Ten's Good Chef Bad Chef. Let me introduce you to your new favourite bread.. These are SO good! Your next 3pm treat or kids lunchbox snack. Try these quick tips to help support your digestive system! Welcome to the All About Health Community! 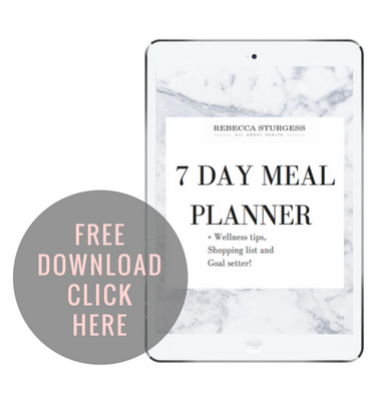 I'll help you make delicious, simple recipes and share practical nutrition tips that will leave you glowing, full of energy and feeling motivated to live your BEST life. Celebrity chef to Miranda Kerr, Courteney Cox, Gwyneth Paltrow, Dwayne (The Rock) Johnson, Steven Spielberg, Meg Ryan and Orlando Bloom. Kate shares her famous Fragrant Indian Curry recipe. Do your health a favour and swap your usual favourites for these healthier options. I am forever on the lookout for new ingredients, recipes and sources of inspiration to share. As a great believer in collaboration and the power of collective action, I welcome the opportunity to align with others on the same journey. If I can offer social media management, recipe development, food styling, etc etc or simply share in your positive thoughts, I’d love to hear from you. If you are a health + wellness expert and would like to share a recipe or do a guest post - I would love to hear from you! Please email me for more information and contributor guidelines.